"Spending at discount stores increased 4.6 percent in February 2008 compared to a year-earlier when income growth was higher." As the Retail Industry globally show signs of an inevitable slowdown and consumers on the other hand, become more and more demanding with their preferences, retailers globally need to act fast to maintain their competitive advantage. Consumers today demand value like never before and they have their eyes on clear differentiators beyond products to demanding a unique and personalized shopping experience. FREE Data Health Test and Consultation. Contact Us! High oil prices a boon, driving a new category of consumers to retail discount stores. 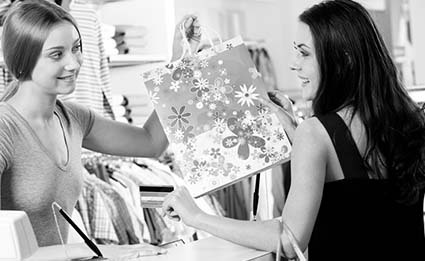 Retailers focusing on personalized user experience to retain customers and traffic. The focus is on multiple merchandising and store layout plans. Retailers focusing on time in store apart from the traditional foot fall to derive maximum value per customer. Consumer demographic intelligence digs deeper into consumer preferences and tastes and is being analyzed deeper to attract and retain customers. Supply chain management under the scanner to maintain low cost operations. International expansions through acquisitions and mergers seem to be the talk of the day. To Learn More, Talk to us Today! Given the global scenario and changing consumer preferences, retailers are going beyond analyzing traditional data sources such as Point of Sale (POS) and Stock Keeping Unit (SKU) data to collecting and analyzing consumer demographic data and facts about their competition to ensure customer retention. The focus is on every speck of information that can help them sustain growth in a market that is rapidly changing. Market Equations can provide you the Insight that you need to remain competitive in this rapidly changing retail environment. From Managing and structuring your data - extracting, transforming and loading to Analyzing your data to effectively derive insights that help you attract a new category and retain existing customers, Market Equations can help you stay ahead of your competition. Customers and Customer segments to effectively attract and retain your customers. Effective Resource management to build efficiencies that help you reduce costs while improving results. Product Development that helps you develop successful products and brands with just the right attributes and brand personalities. Managing demand and inventory through effective Production and Operations strategies. A large Retail Chain uses Market Equations to design and structure the IDS (Integrated Data Store) to deliver scalable and manageable solutions in line with Enterprise Architecture guidelines. For Solutions focused on Returns, Write to us Today! Market Equations Retail Industry Solutions provides you the most successful strategies focusing on maximum returns on your investment. From stand alone to complete integrated Retail Management solutions we can help you beat every adversity and help you retain and gain market and mind share. Market Equations offers a world-class team of Industry specialists combined with decades of strong domain expertise backed by intellectual achievements. Our team will work with you individually; understanding your specific need and providing you solutions that are unique. We focus on going beyond traditional data management and statistical techniques to providing you innovative insights that clearly differentiates your offerings in the market place. Market Equations goes beyond providing you substantial cost and time efficiencies to providing you access to a highly competent and qualified group of retail industry experts, focused on providing you enduring results that have a lasting impact. With decades of experience in Strategic Management Consulting our leadership has empowered and built organizations that have constantly outperformed its competition. With Market Equations you have access to some of the best minds in the Industry, with decades of rich industry specific experience that help us tailor solutions based on every need. We endeavor to provide you solutions that have an enduring impact. The ME knowledge team comprises of PhD's, Statisticians, Business and Financial Analysts, Management and Science Graduates and Technology professionals to provide customers a comprehensive solution that work all the time. Market Equations provides Business Analytics outsourcing services helping organizations reduce their current spends while helping them increase profitability by at least 100 percent! Today, outsourcing the analytics function has made it affordable and accessible for SME's to now use advanced analytics and predictive models to compete in a fair and rapidly changing business environment.